To be the most trusted, respected and successful supplier of steel. Being a true partner – Building strong relationships with our customers, suppliers and industry partners by delivering outstanding service and value. Continually evolving – Building on the solid foundation we’ve created over five generations and always looking for ways to be better and expand into new products and markets. Showing we care – Making everyone we deal with feel a part of the Salit family and continuing our legacy of giving back in the community. Myer Salit, founder of the company was born in Brest, Litovski, Poland in 1880. At the age of 23, he left Europe for North America, arriving at the Port of New York in September 1904. He immigrated to St. Catharines Ontario, where his brother-in-law Harry Rubin was a scrap metal dealer. In 1905, seeing the success of Mr. Rubin, he opened his own scrap business in the neighbouring town of Niagara Falls. Working with only a single horse and cart, and hard work, self-education and determination, he built a prosperous business. Mr. Salit was universally respected and held in high regard by all who dealt with him. He was an active member of the community as well as a prominent philanthropist. His legacy of honesty and integrity were the foundation upon which the business was built and continues to operate. After World War II Mr. Salit’s son-in-law Irvin Feldman joined the company followed by his grandson Larry Cohen in 1955. In the early 1950s, the company diversified and began distributing new and used steel products to local industry. This marked the beginning of the Steel Service Center. In 1958 Mr. Salit passed. The company continued to grow under the leadership of Feldman and Cohen, and in the mid 1960s the company became a reinforcing steel (rebar) fabricator known as Salit Steel. In 1981, Larry Cohen’s son Steven Cohen joined the company. During the 1980s the industrial base in Niagara Falls continued to decline and despite strong historical ties, the family decided to sell the scrap division. Upon closing the scrap operation Mr. Feldman retired. Throughout the 80s and 90s the company continued to expand, diversify and reinvest, improving facilities and opening new operations to better serve its customers. Today the company continues to flourish as one of the major steel suppliers in North America. 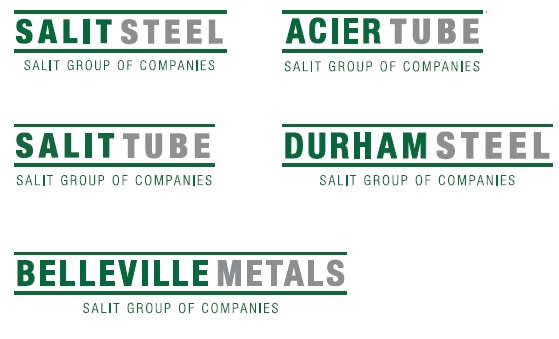 The Salit Group of Companies is comprised of two divisions; the Service Centre and Rebar Division.